reproduction: 15 to 30 eggs laid in a large, shallow nest. Eggs are covered with sand and left to incubate about 8 months. did you know? 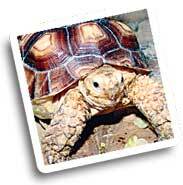 Succulent plants provide Spurred Tortoises with their water, and they coat their skin with mud to cool off. Their burrows are up to 30 feet long and often provide shelter for other animals. 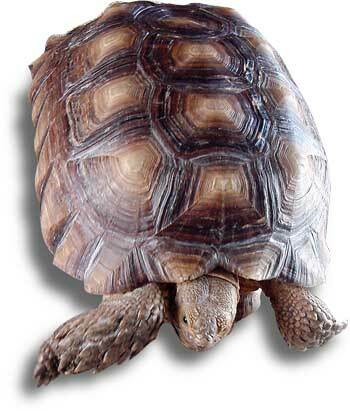 Some African cultures regard the Spurred Tortoise as a mediator between men and the gods. The Jungle Lady loves to show vulnerable little baby animals. But this baby tortoise doesn't look vulnerable to anything.